The Viper was launched into the UK in 2014 and demonstrators are available for trial. The class is still small in the UK/Europe but has created a good response with its high performance at the many regattas around the UK. We have had National Championships in Torbay 2015 and Lymington 2016. Contact Rondar Boats UK for more information about boats, trial sails and sailing in the UK. Regular sailors from Falmouth won the first European regatta in Lake Garda 2015 and the UK fleet has also competed in Cork Week and other yachting regattas under IRC rating. 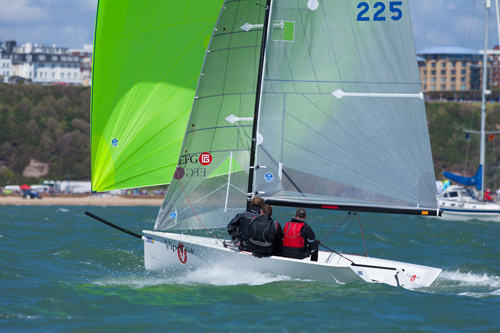 Other regular venues include torbay sports boat regatta, Falmouth Week, Cowes Week At all these events the Viper put on a great show of fast, fun sailing whilst other keelboat crews looked on! Below is footage from On-board one of the Vipers at the International Championships in Bermuda.